With the AUDL Championship weekend upon us, four teams are entering Chicago hoping to come away with the championship. Each has taken a different path to get there, and enters the weekend with their own strengths, weaknesses, and expectations. Here’s a look at each team. The Radicals face off against the Windy City Wildfire Saturday at 2. Though they are the 2 seed, Madison is 2-1 against Chicago this season. Neither team has been able to win at home, and none of the games have been decided by more than two points. Madison has often frustrated Chicago with their zone, usually employing a 2-4-1. This zone is most effective when the disc is on the sideline, and the Radicals can throw two giant marks into a double team against the Wildfire. This was especially effective in their most recent 15-13 victory over Chicago. That was a windy game, which gave Madison’s zone an even bigger advantage. In their first round playoff win over Indianapolis, Madison used that same zone, which was usually able to keep the disc out of Keenan Plew’s hands, limiting the AlleyCats offense. 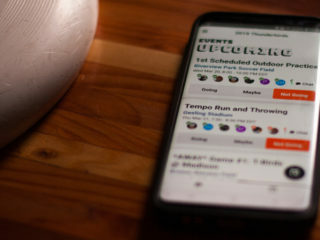 Look for Madison to throw zone regardless of conditions this weekend. While the Madison O-Line has been playing together all year, their D-Line will provide a different look. Players like Brian Hart, Kevin Brown, and Andrew Meshnick are all back from a U-23 Worlds victory, and will play a role in the Madison defense. Tyler Glenn, a University of Iowa graduate who helped propel them to reach the semifinals at the College Championships in 2011, missed the last game against Chicago and is probably Madison’s best defensive player. Glenn recorded a D on 13% of his possessions this season. With a full roster finally in place for Madison, they’ll prove a force to be reckoned with this weekend. New York is as close to full strength as it has been all season, but the Empire still have to play the Toronto Rush on Saturday. Throughout the season New York has gone through stretches without some of its key players, and the player the Empire have to be most happy to have back is Jack Marsh. Marsh has scored or assisted on 36% of the points he has played. That is an astronomically high percentage. To put it in perspective, Mark Lloyd, the most valuable player on the Rush, scores or assists on 31% of the points he plays. And the Rush score at a much higher rate, helping Lloyd boost his numbers. One thing is for sure, the Empire will miss Seth Canetti. New York is used to missing players so they should be able to adjust, but Canetti has been a rock for them. He leads the teams in throws completed, and is second in assists. He’s one of only three Empire players that have thrown more than 100 passes but maintains a completion rate above 90%. Despite their dominance in the Eastern Conference, Toronto has a lower completion rate than both Madison and Chicago, only at 89.6%. That’s because the Rush have occasionally relied on their players rather than their offensive system to make plays for them. They’ll have to adjust their game in the finals, when they’ll either be going up against Madison or Chicago. Both those teams convert a high percentage of their O-Line points, and aren’t likely to give the Rush multiple chances in a single point to convert a break. 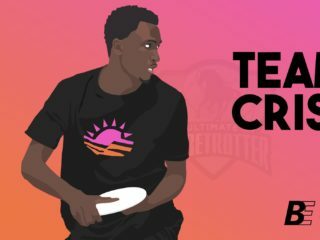 Toronto is the favorite for a reason of course, with Team Canada players like Adrian Yearwood, Jeff Lindquist, Cameron Harris, and Mark Lloyd they have more star power than any other AUDL team out there. New York and whoever comes out of the Midwest will most likely throw a zone or junk to lessen the importance of individual matchups. The Toronto handlers will have to be ready, look for Thomson McKnight to take on an even bigger role this weekend. Chicago is 14-2, but enter the weekend as perhaps the biggest question mark. They struggled with the Madison zone in their most recent matchup, with handlers holding the disc for too long on the sideline, allowing Madison to establish intimidating double teams. Brett Kolinek struggled more than anyone in that loss for Chicago, making poor decisions and not completing the throws he’s accustomed to making. Bob Liu made some nice throws, but was just as guilty of holding onto the disc for too long on the sideline, which put him in a tough spot every time. 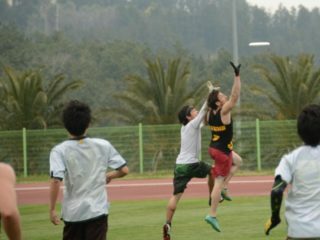 Gary LeDonne put it simply when asked what the Wildfire need to do better to win, saying “We have to improve our offensive possessions, have crisper flow and not get stuck holding the disc too long.” Ron Kubalanza is the Wildfire player that maintained the most composure against the Madison zone. He’ll continue to play a big role in the Chicago offense. Brodie Smith is on the active list for the first time since mid season, and even if he’s not 100% he could be helpful in beating a zone. Brodie has some of the best over the top throws in the game, and with little wind projected this weekend that could be the ticket to beating Madison. He needs to make sure to limit his turnovers though, as he may be a liability on defense recovering from an injury. Brodie has a reputation for being turnover prone, but his completion rate this season is 91.6%, not bad when compared to his teammates and opponents. He will have to be prepared to play a smaller role though, as an offense designed to give Brodie the disc every other throw will be met with little success. The good news for the Wildfire is that Kolinek and Liu are likely to recover from poor outings. The wind most likely won’t be as strong. Brodie could provide a spark. The bad news is that even going downwind against the Radicals zone the Wildfire have struggled. Machine captain Craig Poeppelman’s knee injury will keep him out, and the team will miss his defense. And for the first time, they’re playing a full strength Madison team.